Kelly Borges joined the FSU Strength and Conditioning staff in August of 2017 after serving on staff as a Graduate Assistant from 2016-2017. Kelly is responsible for the design and implementation of all Softball and Dive programs while continuing to assist other teams. 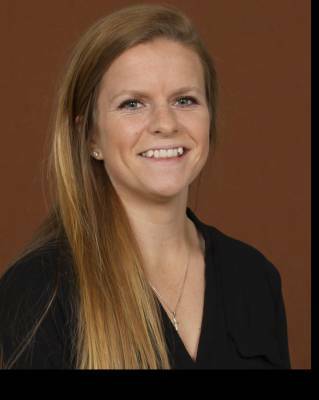 As a Graduate Assistant Kelly worked specifically with the Women’s Soccer team where she incorporated cutting edge technology to aid in the improvement of athletic performance while also assisting with Softball, Baseball, Swim and Dive. Before arriving in Tallahassee, Kelly interned with Baylor University while completing her undergraduate degree. During her time at Baylor, she gained experience working with the Acrobatics and Tumbling, Men’s & Women’s Golf, Women’s Tennis, Women’s Soccer, and Football. In 2016, Kelly earned her bachelor’s degree from Baylor University in exercise physiology and in 2018, received her master’s in sport management from Florida State University. Kelly is also a varsity letter winner in softball at Dominican University of California. Kelly is certified by the NSCA as a certified strength and conditioning specialist (CSCS), United States of America Weightlifting (USAW) as a Sports Performance Coach – Level 1, and American Red Cross in First Aid, CPR, and AED.